Mountain Equipment Co-op of Vancouver, British Columbia, Canada, is recalling about 2,600 Aquanot Rolltop 20 L bicycle panniers. The stud projecting from the body of the Aquanot pannier may detach and cause the pannier strap to become momentarily entangled in bicycle spokes, posing an injury or fall hazard. The company has received no reports of incidents or injuries. 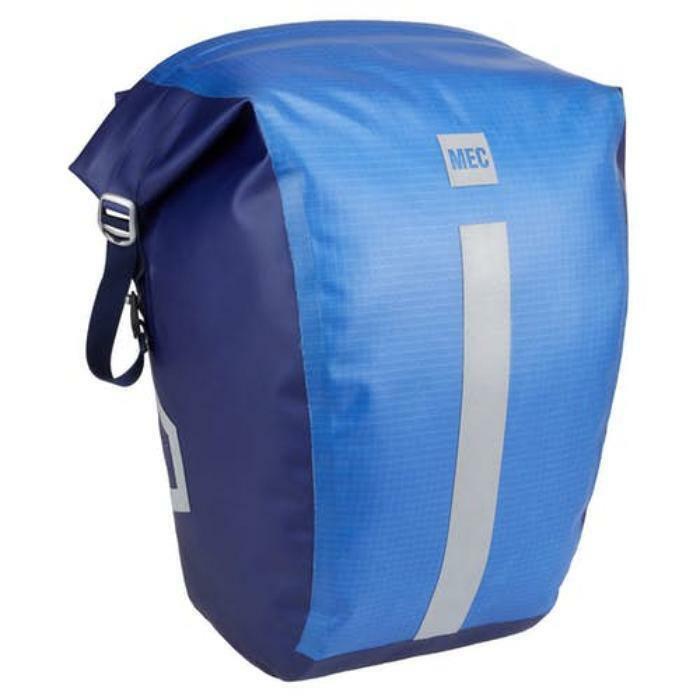 This recall involves Mountain Equipment Co-op Aquanot Rolltop 20 L bicycle panniers with model number 5035-441 available in two colors: indigo/cobalt and black. The panniers are made of 600-denier polyester and contain a top pocket, sleeves for a lock and a pump, and a zippered hanging pocket for keys, phone or wallet. The paniers, manufactured in the Philippines, were sold from September 25, 2015, to July 6, 2017, throughout Canada. Customers who purchased the recalled product should immediately stop using it and inspect it for any loosened bolts. If any of the bolts specified to be secured with Loctite are coming loose, tighten them or bring the pannier to any Mountain Equipment Co-op store to have them tightened. Consumers with questions may contact Mountain Equipment Co-op's service center toll-free at 1-888-847-0700 Monday – Friday from 6:00 a.m. – 9:00 p.m. (PST), Saturday from 6:00 a.m. – 7:00 pm (PST), Sunday from 7:00 a.m. – 6:00 p.m. (PST) or by email at info@mec.ca.